Fayette County is one of five counties created in 1821. It is home to the only preplanned community in the Southeast, a 16,000-acre community called Peachtree City, which was chartered in 1959. Part of the Atlanta metropolitan area, it has experienced significant population growth since the 1970s. Following the forced removal of the Creek Indians to what is now Oklahoma, county land was divided into 202.5-acre lots that were drawn in a land lottery. Among those eligible to receive land were veterans of the American Revolution (1775-83) and widows with minor children. Because many of the original settlers were Revolutionary War veterans, the county was named for the Marquis de Lafayette, a French general in the Continental Army, who may have commanded some of them. White settlers began to move into the area in 1822. The state of Georgia decreed that all counties had to create a county seat equidistant to all other towns in the county. At that time, Fayette County reached northwest into what is now Atlanta, east past the courthouse in Clayton County, and south into part of Spalding County. Fayetteville, also named for the marquis, met the state’s requirement and was chosen as the county seat. In addition to Fayetteville, other incorporated cities are Brooks, Peachtree City, Tyrone, and Woolsey. From 1828 to 1858 Georgia created four new counties from Fayette County land: Campbell (later Fulton), DeKalb, Spalding, and Clayton, leaving Fayette County with its current area of 197 square miles. The county’s first census in 1830 listed a population of 5,555. 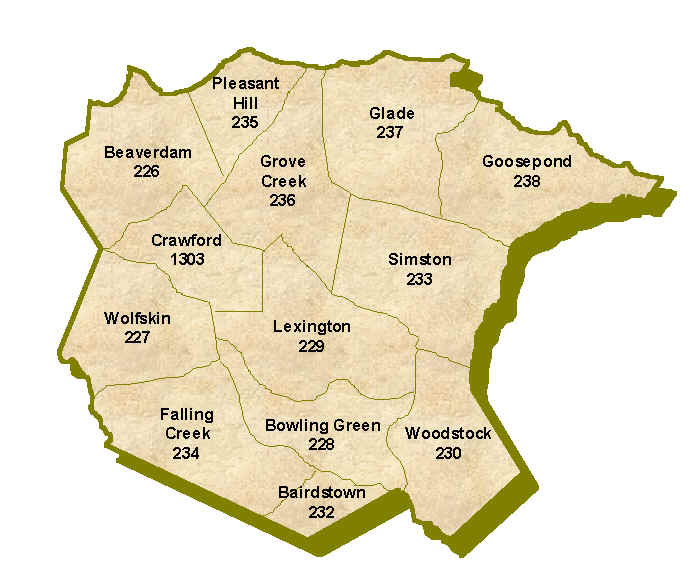 Over a 140-year period, from 1830 to 1970, the Fayette County census remained at a mean average of 8,000 people. But from 1970 to 2005, the population grew to just less than 100,000 people. According to the 2000 U.S. census, the population is 91,263 (83.9 percent white, 11.5 percent black, and 2.8 percent Hispanic), a 31.6 percent increase since 1990. Cotton was the predominant agricultural crop in the county during the nineteenth century. Fayetteville emerged as the only area with significant commercial activity, until about 1920. During the twentieth century, soybean farming overtook cotton as the major crop. Nine voting districts were laid out in 1821, and legally those nine are still in place; the increase in population has necessitated dissecting them into thirty-six voting precincts. One of the top-rated educational systems in the state, the school system in Fayette County has five public high schools, five middle schools, and seventeen elementary schools. The service sector is the largest employer, followed by the retail trade and manufacturing. In Peachtree City there is a “Foreign Trade Zone,” where the main industries in the county are located. This trade zone allows overseas companies establishing themselves to secure cost advantages not generally available internationally—in particular the management of duty and tariff costs. The 1825 courthouse, the oldest courthouse building in the state, has undergone several restorations and is listed on the National Register of Historic Places. In 1888 a clock tower was added. The interior was renovated in 1965 and again in 1983, after an arson that did major damage. The courthouse was fully restored in 1983-84 and now houses the chamber of commerce and the Fayette County Development Authority. The original 58-foot-long pine courthouse bench was removed and is now on view outside the south entrance. The current courthouse, called the Justice Center, was completed in 2003.
owned today by the American Legion, is also located in downtown Fayetteville. The former Margaret Mitchell Library, built in 1948, is today the home of the Fayette County Historical Society and houses Civil War and genealogical records. Another place of interest is the fountain in Heritage Park, which was dedicated during the 1996 Olympic Games. Plaques, each engraved with part of the county’s history, are arranged in five circles around the fountain. Currently there are more than 100 churches in the county; five of them were constituted in the nineteenth century and are still viable congregations: Antioch Baptist, Fayetteville First Baptist, Fayetteville First United Methodist, Flat Creek Baptist, and Whitewater Baptist. Phillip Fitzgerald, the great-grandfather of writer Margaret Mitchell, settled in Fayette County in the late 1820s and opened some of the first businesses in Fayetteville. 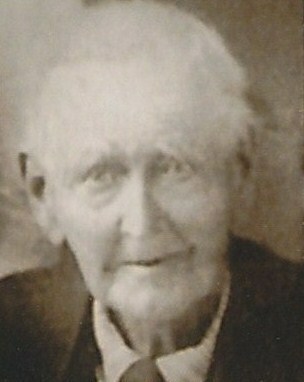 Other prominent nineteenth-century citizens of the county include Matthew Yates, who hybridized the Yates apple, and Talula Gilbert Bottoms, a well-known southern quilter. Former governor Hugh M. Dorsey, folk artist Nellie Mae Rowe, and Charles D. Redwine, a state senator instrumental in establishing compulsory public education in the state, were notable twentieth-century residents. Ferrol Sams, a prominent physician and author, and his wife, Helen, also a physician, began practicing medicine in the county in the early 1950s.